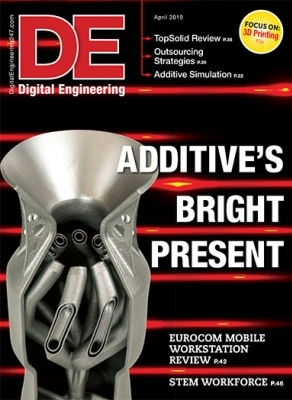 The April issue of Digital Engineering features in-depth coverage of additive manufacturing, including 3D printed electronics, integrating additive manufacturing into the larger workflow, design and simulation for additive manufacturing, a look at rapid prototyping & manufacturing service providers and advances in metal and plastic additive technologies. 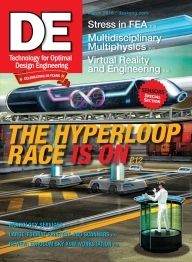 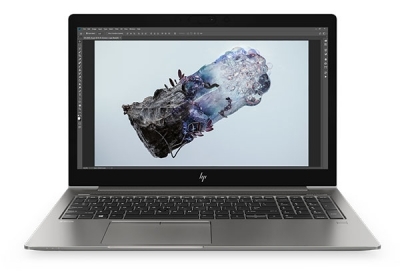 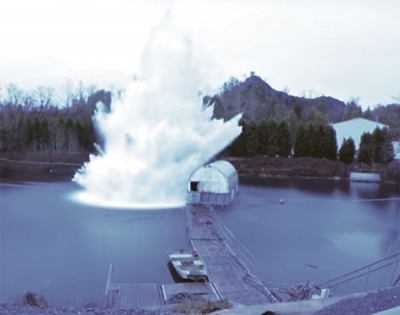 Simulation-Driven Design Fast Tracks the Hyperloop; Finite Element Analysis; Engineers are gaining more access to virtual and augmented reality; a look at the Eurocom Sky X9W desktop. 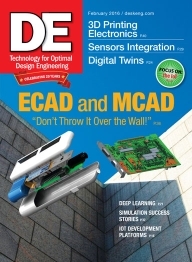 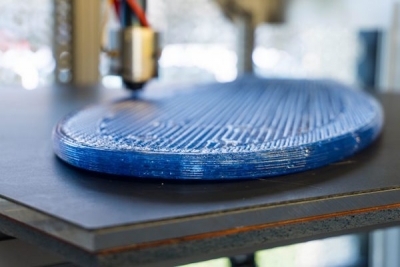 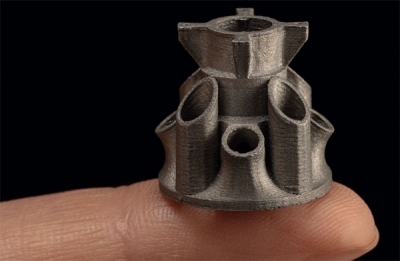 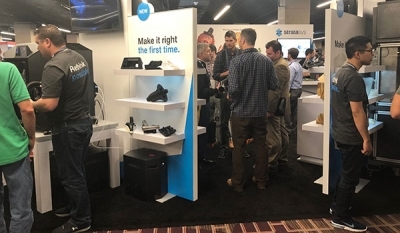 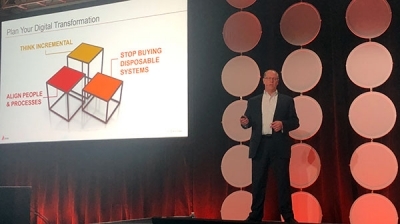 MCAD and ECAD; Small teams and big companies are developing a wide range of 3D-printed electronics applications; How enterprise IoT changes product design. 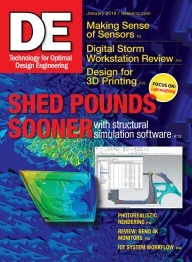 Structural simulation software for optimum light weighting; DARPA and Department of Defense supercomputers; a look at The Digital Storm Slade PRO; Developing smart, connected devices.